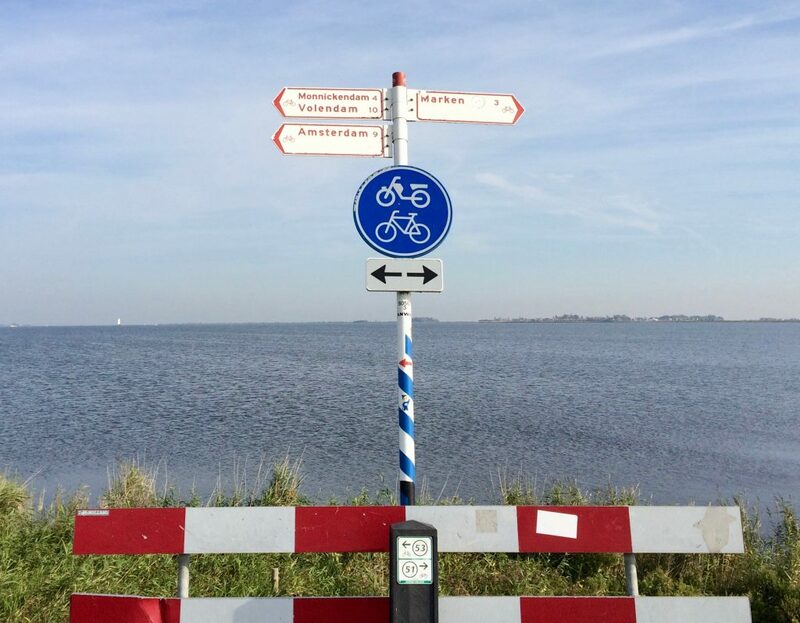 When in Amsterdam, this is the quintessential 1/2 day cycling trip all the guidebooks recommend. So we did it! 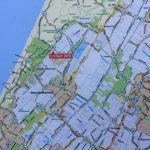 Our 48 km route around Waterland. 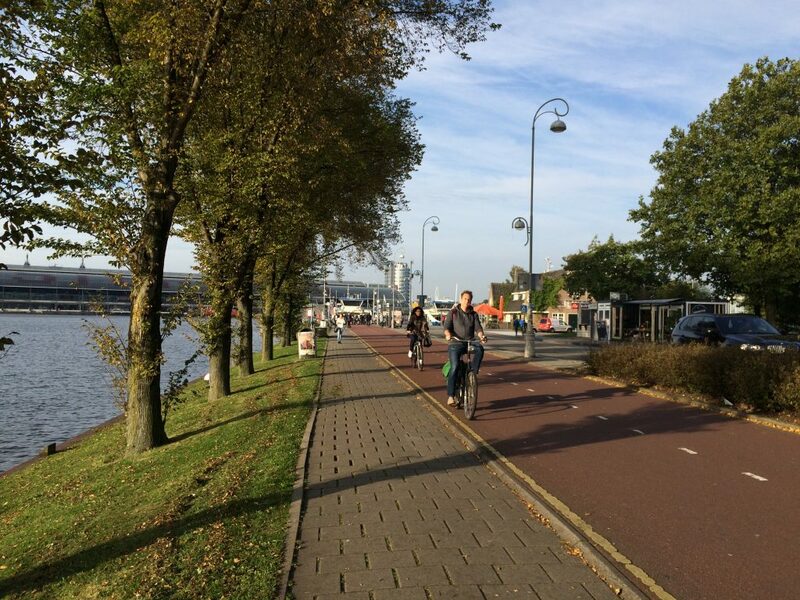 First step was to find the Buiksloterweg ferry behind Amsterdam’s Central Station. We made the mistake of getting off the bike path, cutting through the bike parking area and going into the station. Inside, a sign to the ferry pointed us back outside where we continued through the giant bike parking lot only to rejoin the bike path. 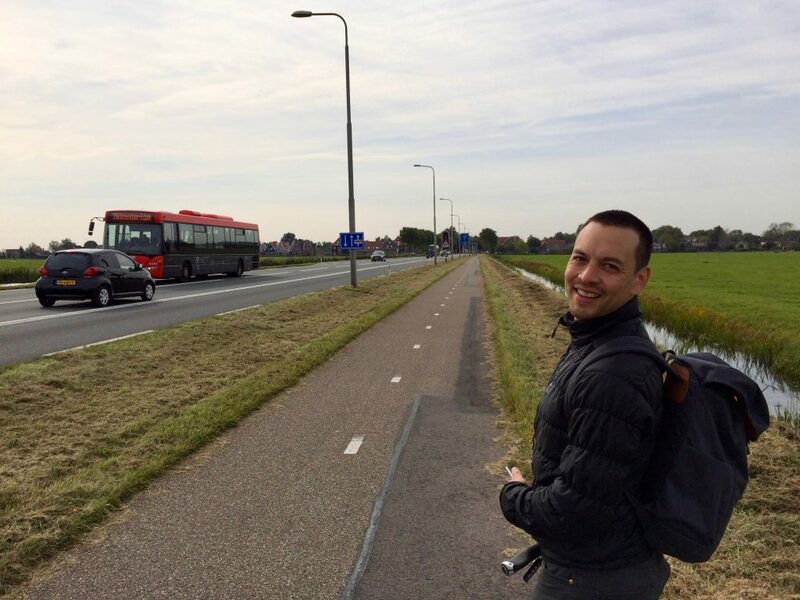 General rule in Amsterdam: when in doubt of where you’re going, just follow all the other cyclists! The bike path led us right to the ferry where everyone just rode their bikes right on! PS: the ferries across the IJ River are FREE. 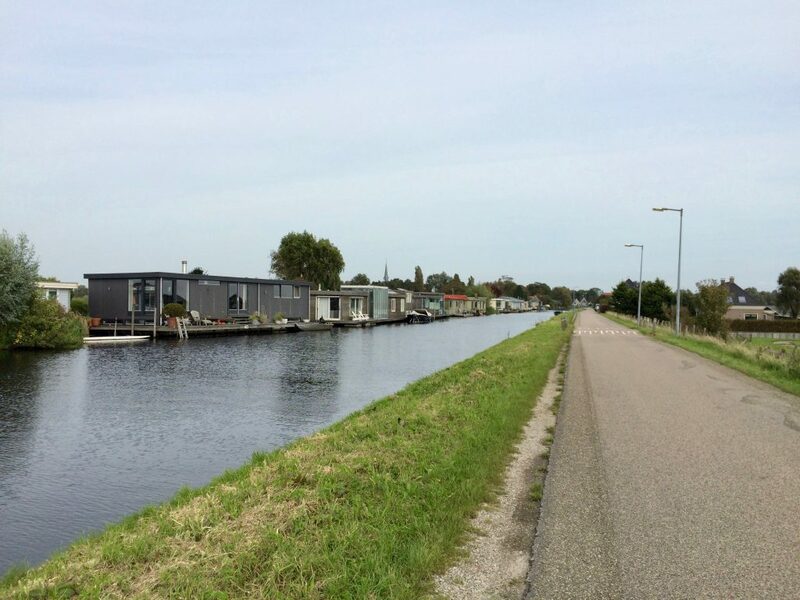 In a couple minutes, we were across the river and in Amsterdam-Noord. 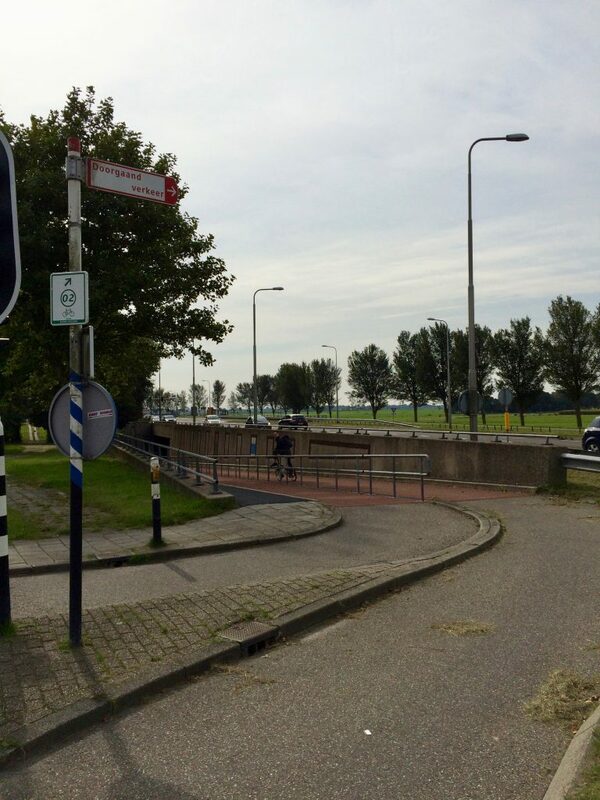 The bike path leading away from the Buiksloterweg ferry. 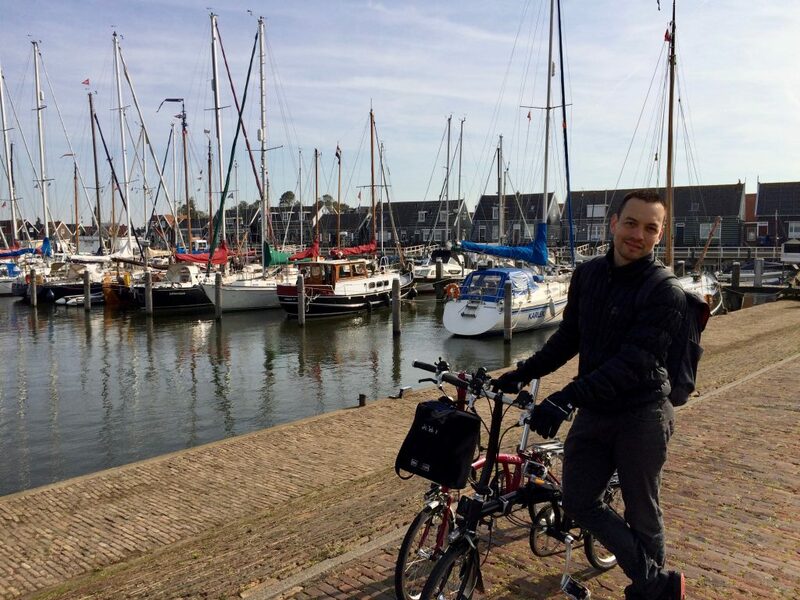 Cycling into Amsterdam-Noord along the canal beside Buiksloterweg street. 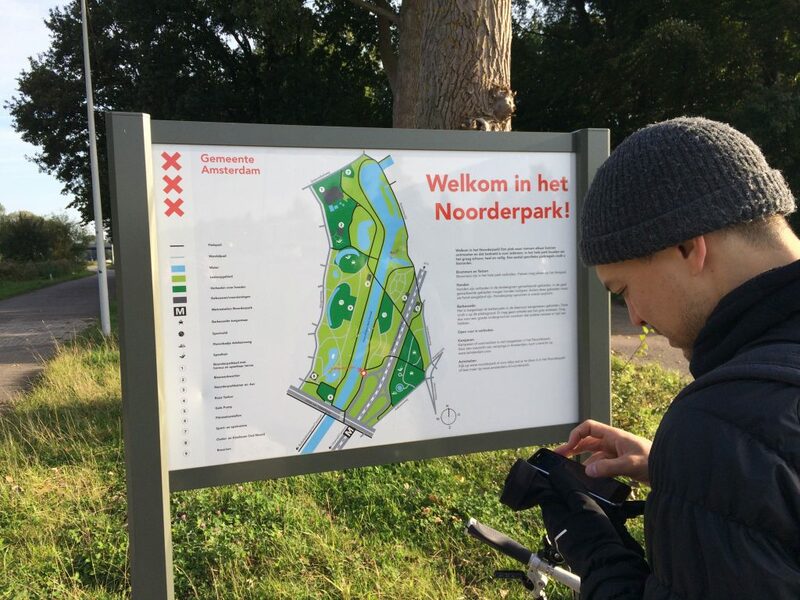 At the second bridge we crossed over the river, then followed the bike path across the road into Noorderpark. 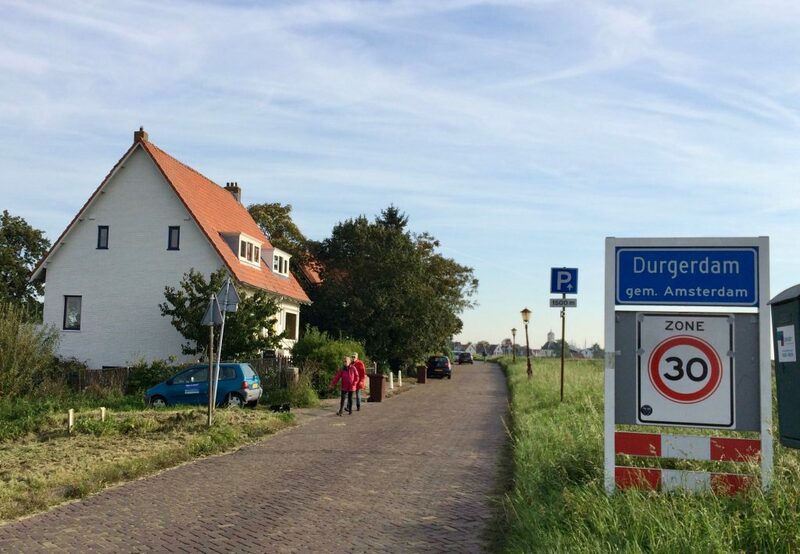 From here we were supposed to take a street called Nieuwendammerdijk. 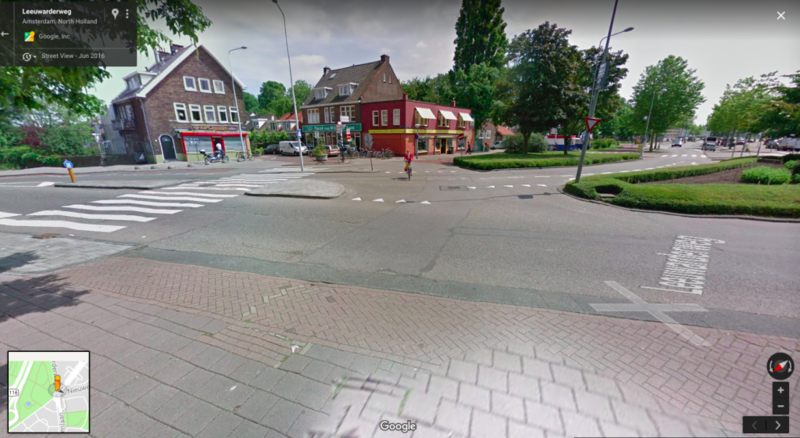 Of course as you can see from the Google street view shot, there are no street signs. 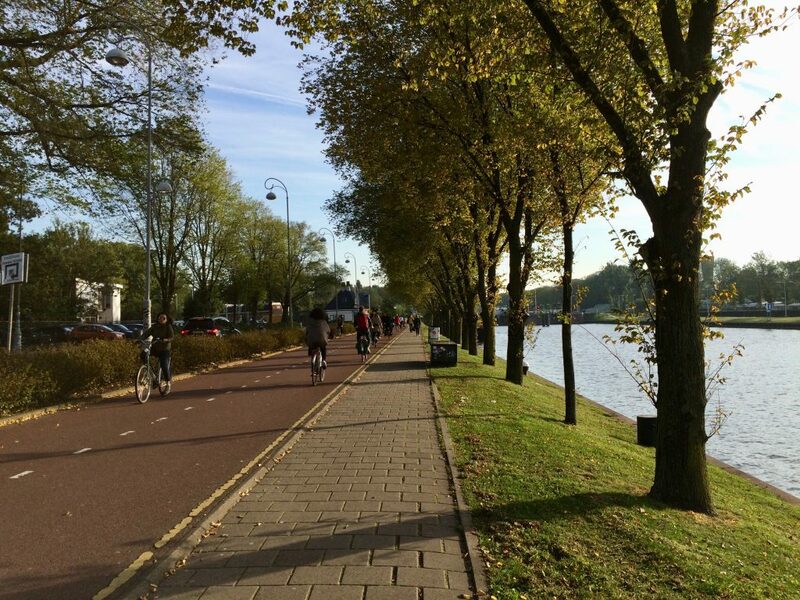 I figured that our route followed one of the major roads, ie the paved streets with the bike lanes running alongside. But Pier’s GPS was pointing straight ahead to what looked like a tiny cobblestoned alley. That couldn’t be our route, could it? 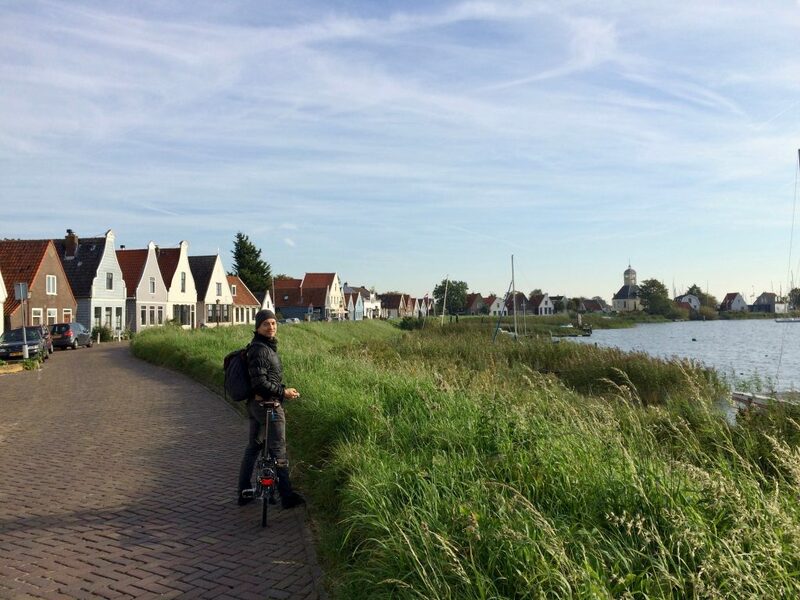 … and cycling through the Dutch countryside. Notice how far away the bike path is from the road! So nice not to be choking on car exhaust while riding. 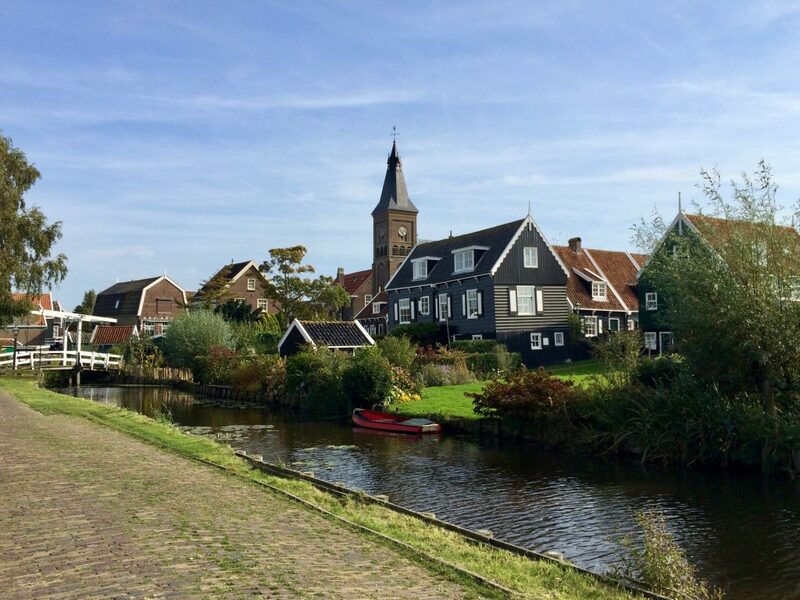 … a beautiful town with the bumpiest cobblestones in Waterland! Later in our trip, we’d realize these weren’t so bad, at least not compared to the Roman cobblestones in Belgium! 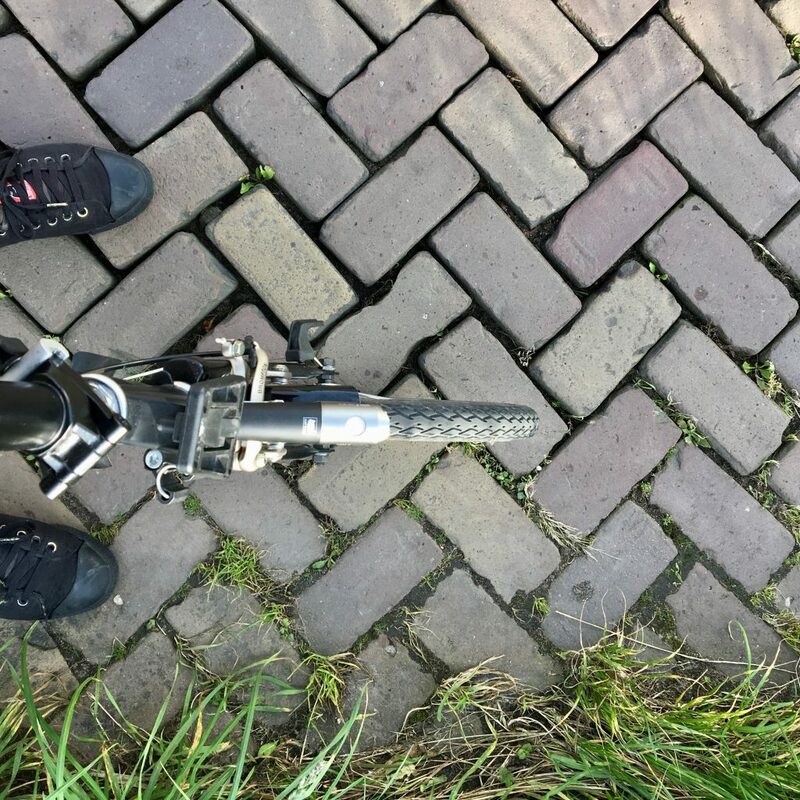 Still, we were happy to leave Durgerdam’s cobblestoned street behind and continue riding on the beautifully paved “fietspad”. From here, it was straight cycling with the water to our right and the car road below to our left. 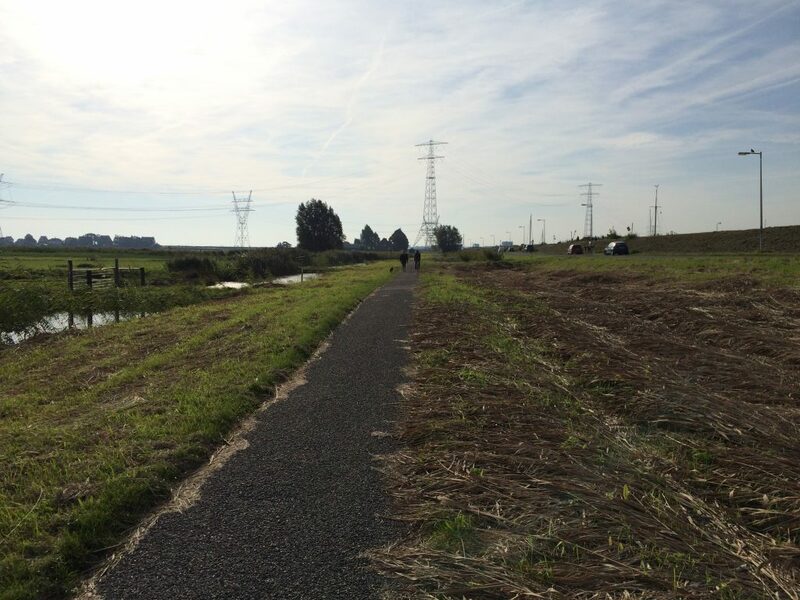 The bike path is built on top of the dike, which provides a great view! However, it can be a little windy. Down below on the road, we didn’t see a whole lot of cars, but saw many cyclists out on their racing bikes, no doubt choosing to cycle below the dike to avoid the wind and go faster! Stopping for a snack on the dike bike path. The trail behind Pier leads down to the car road. 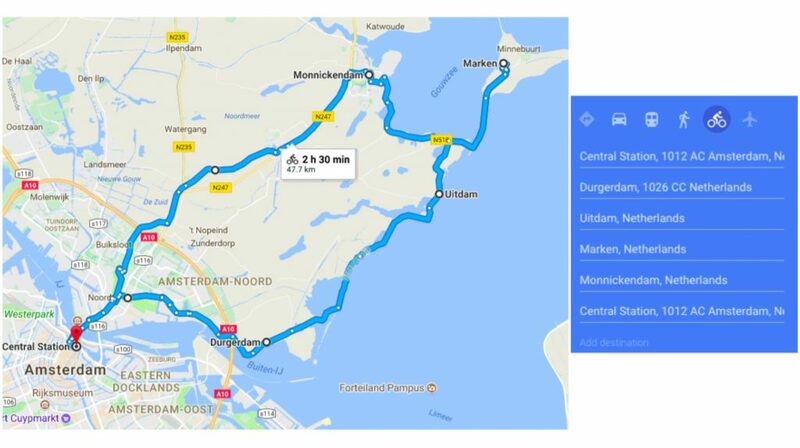 Our Lonely Planet guidebook instructed us to go left to Monnickendam, but I’d read about Marken, a fishing village that used to be an island until 1957 when a causeway was built connecting it to the mainland, and decided it was worth adding an extra 10km to our ride to see it. 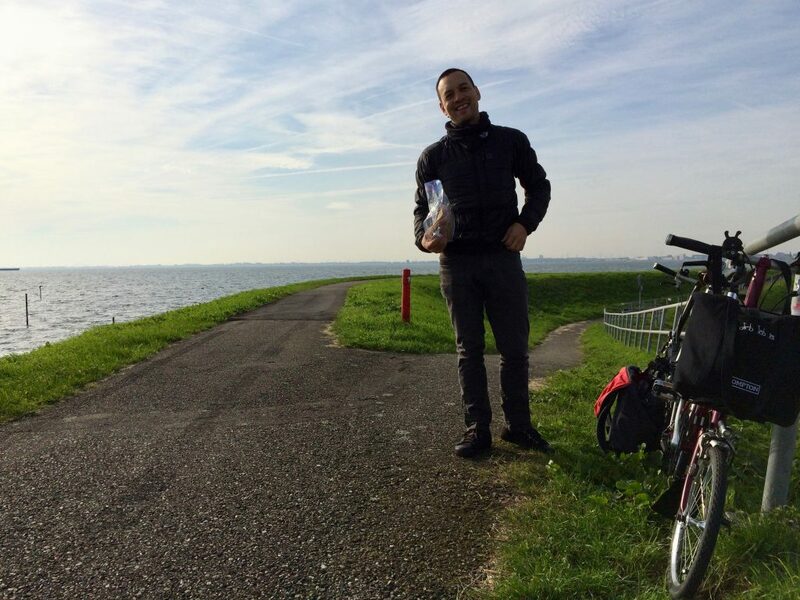 Plus, I wanted to bike along a causeway for the first time ever! 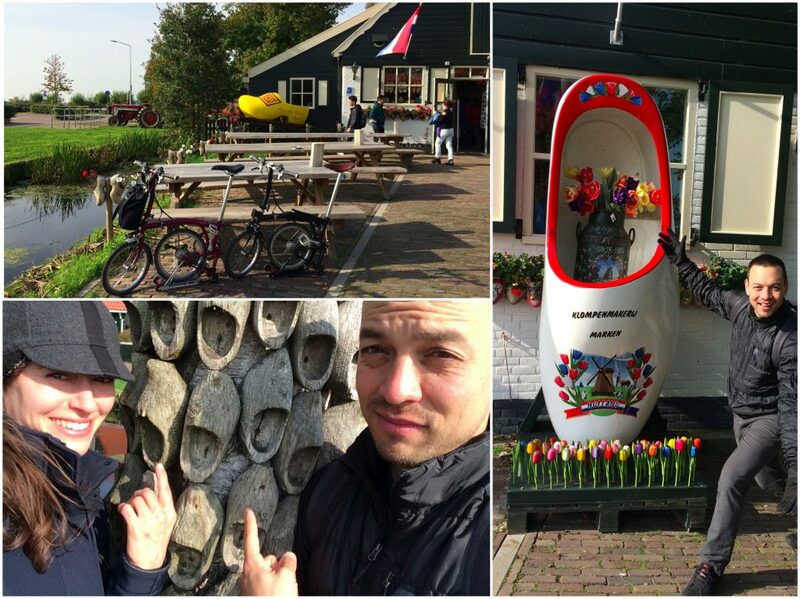 When we arrived in Marken, we were greeted by clog kitsch! 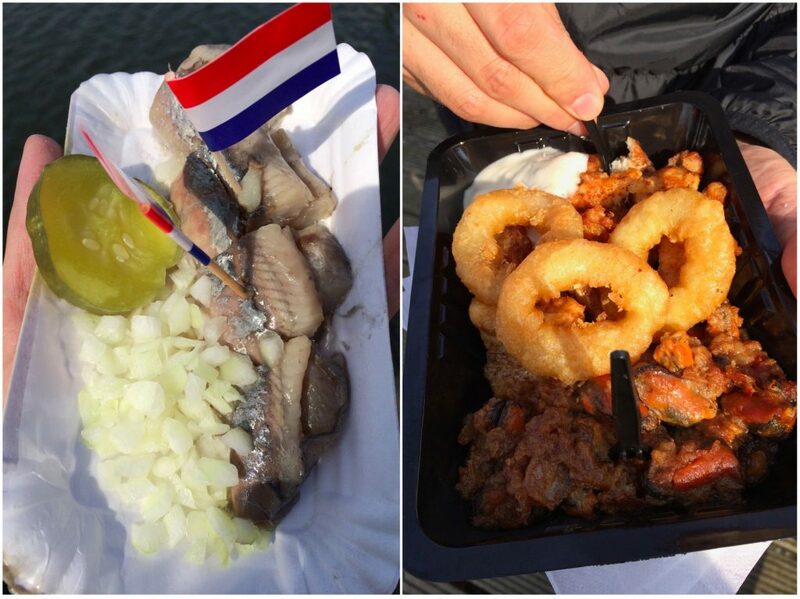 … and ate some pickled herring and friend calamari and mussels. 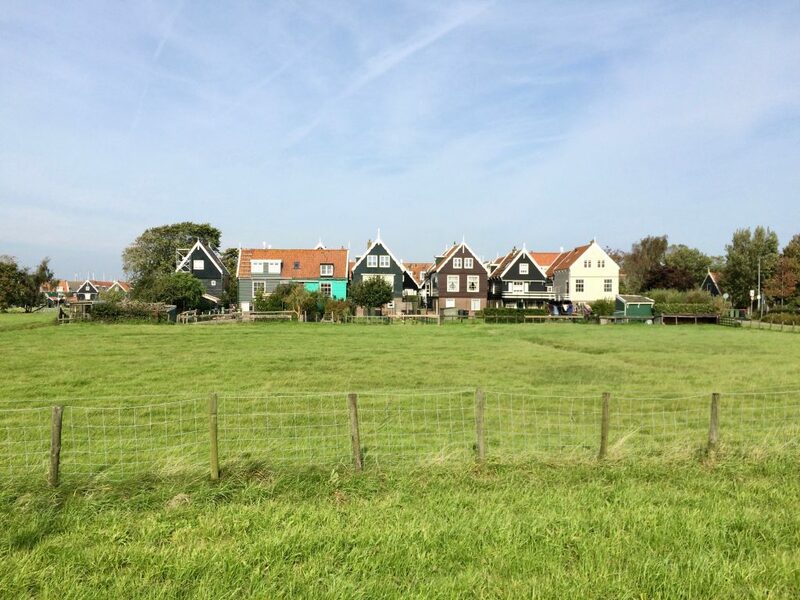 All in all, we spent a little over an hour in Marken before heading back along the causeway to the mainland. Heather battles the Waterland wind! The wind was intense! 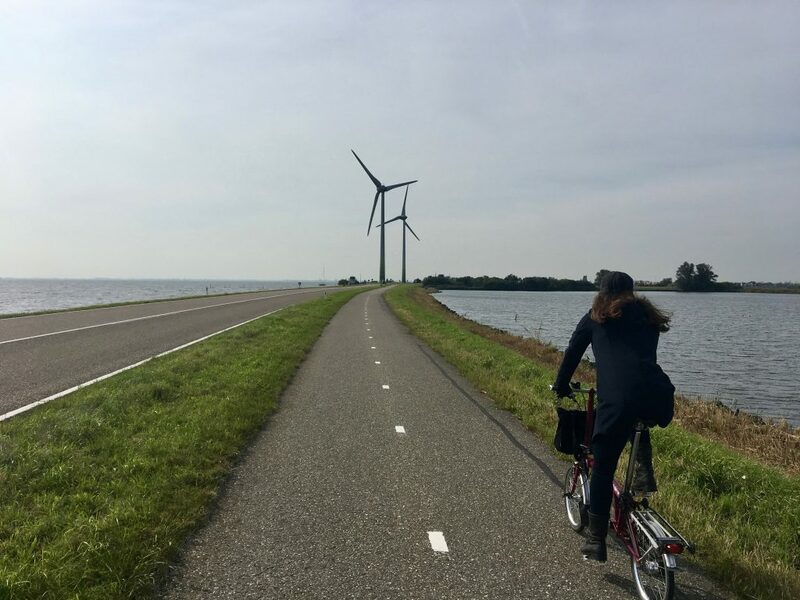 And it continued to blow at us all the way to Monnickendam no matter which way the bike path turned along the coast. 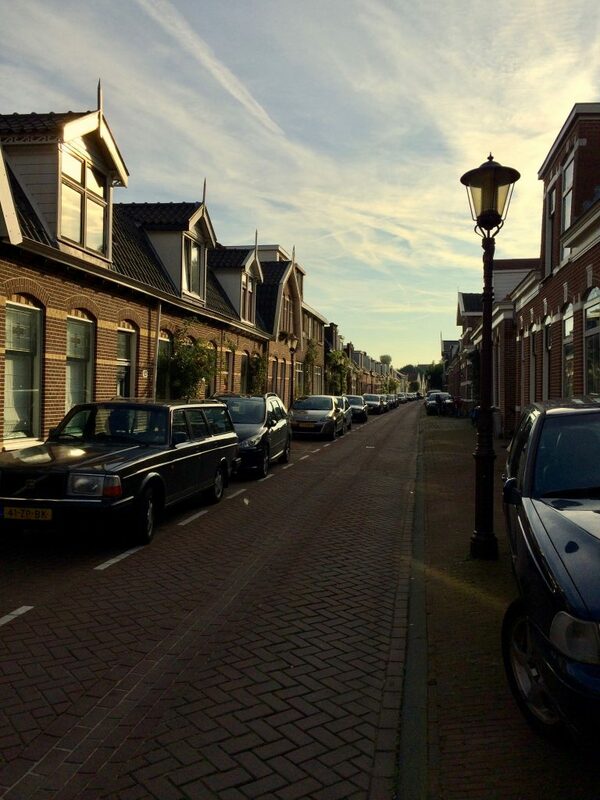 All those stories about the constantly-changing Netherland winds are true! 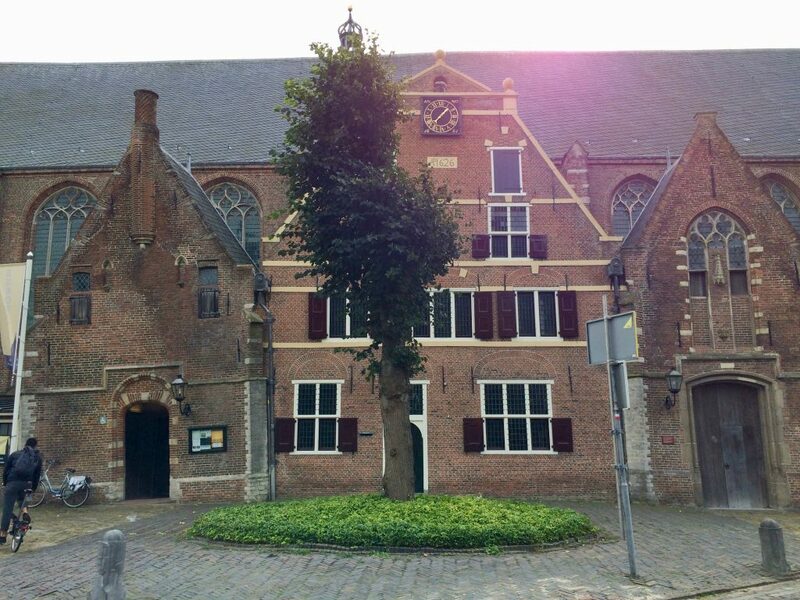 Next stop: Monnickendam. 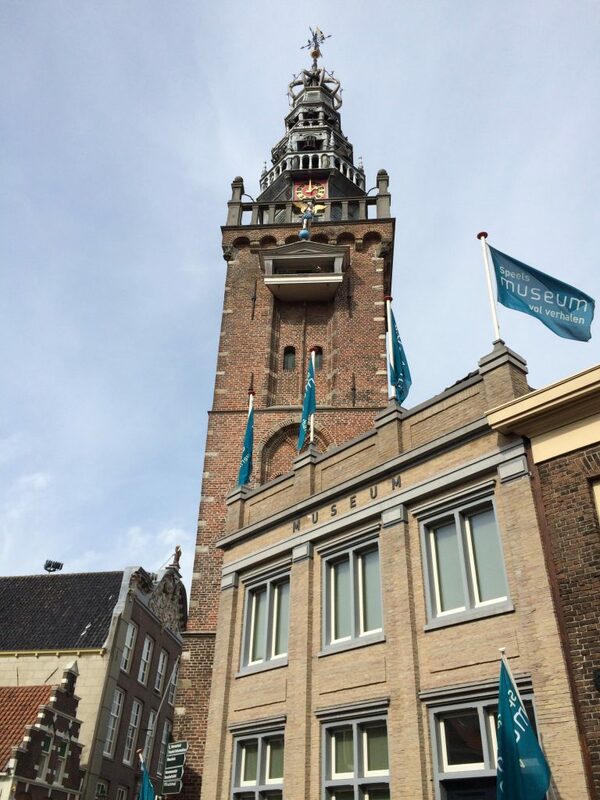 It’s a lot bigger than Marken, but still pretty small, and the only things to see besides quiet cobblestoned streets are the Museum and the Clock Tower, and the old church. Leaving Monnickendam, our guide book suggested going back the way we’d came, but we were tired of biking against the ever-changing coastal winds, so instead we headed west out of town and found highway N247. 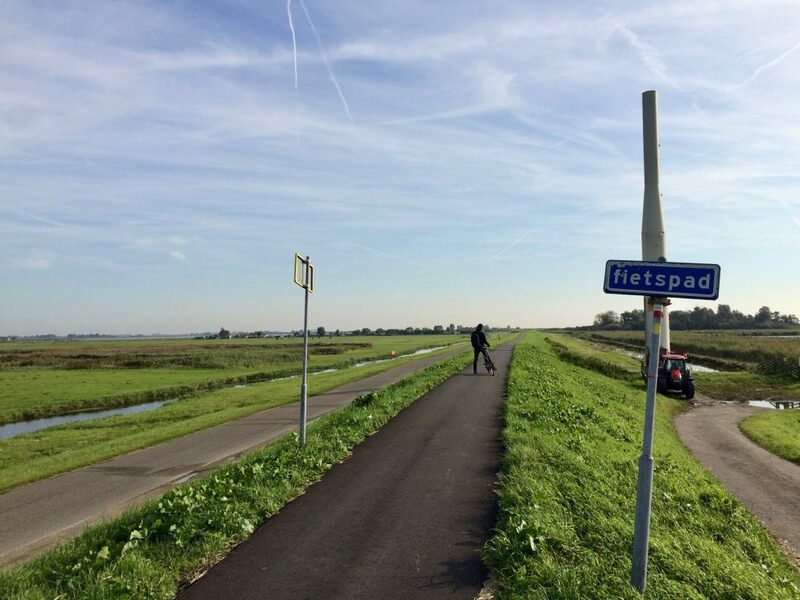 This isn’t a recommended cycle route, but it’s STRAIGHT back to Amsterdam and we were tired. So, valuing speed over scenery, we checked it out and were rewarded with a small miracle — a fully separated bike path beside the highway! There was even an underpass for cyclists to safely cross to the other side. If only we had infrastructure like this in Canada! 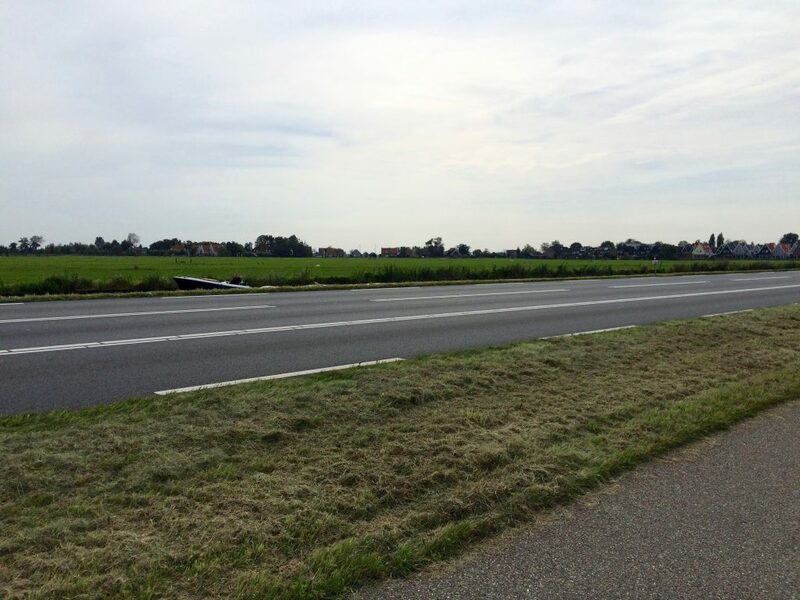 Handy bike path beside highway N247. 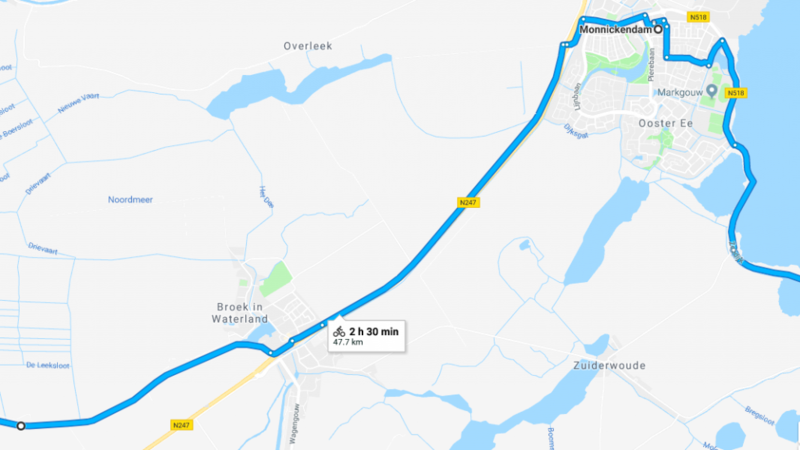 And to truly make this a multi-modal transport route, on the other side of the highway was a canal big enough for boats. Look closely in the photo below and you can see the nose of a motorboat poking up from the canal. In Broek in Waterland we left the highway and jogged north to take a more scenic road along another canal lined with houseboats. 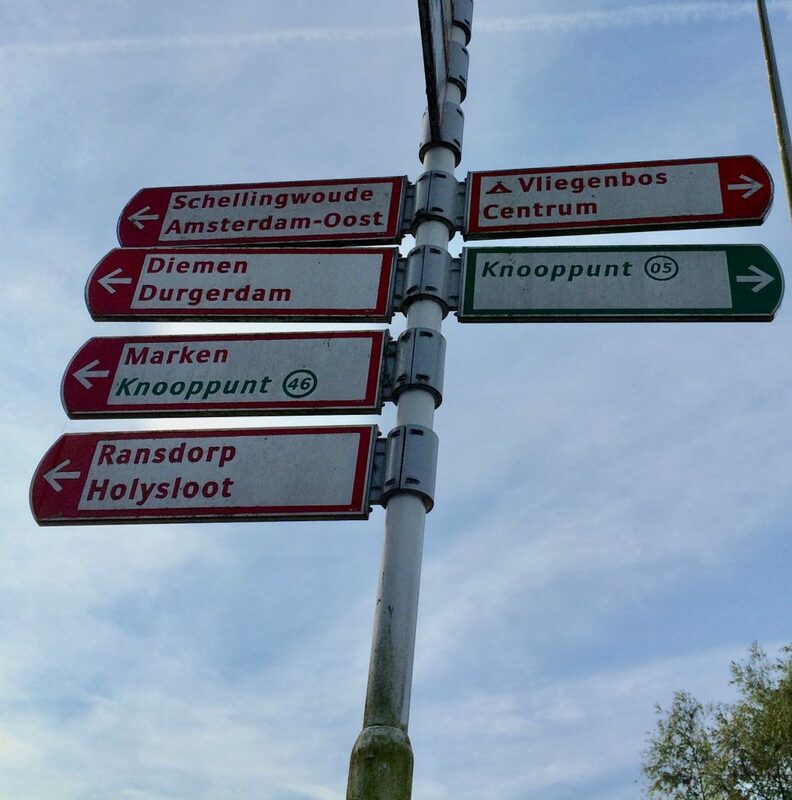 And from there, we just followed the canal back into Amsterdam-Noord and caught the ferry back to Central Station. 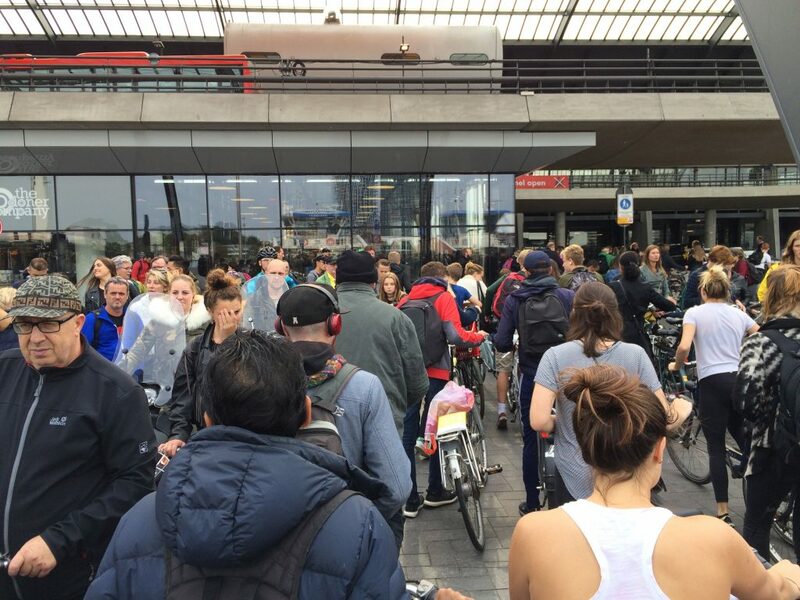 Crush of cyclists leaving the Buiksloterweg ferry, arriving at Central Station. The whole trip took us 6 hours, though half of that was spent sightseeing, taking pictures, and consulting Google maps. 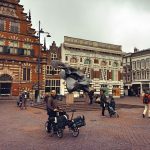 Once out of Amsterdam, the route is super easy to navigate and none of the towns are big enough to get lost in — which is a welcome change from Amsterdam! Beautiful pictures! Thanks for sharing the experience, and hoping to troll through all your previous posts! Looking forward to more adventures!